It’s sad to say goodbye to the colorful, cheery blooms of the garden when the seasons change. Flowers just make everything feel lighter and happier. That’s why I make an effort to keep flowering houseplants around, especially during the colder months when the garden has been put to bed and I need my flower fix. Design an indoor garden space with these stunning flowering houseplants and you will hardly miss the summer garden at all. Houseplants are a wonderful way for anyone to get a little garden therapy, no matter what the circumstances. Maybe you live in a small apartment with no outdoor space. Maybe it’s the dead of winter and you miss seeing green, living things. Maybe your home is dark and needs brightening up (if that’s the case, check out the best houseplants for low light here). 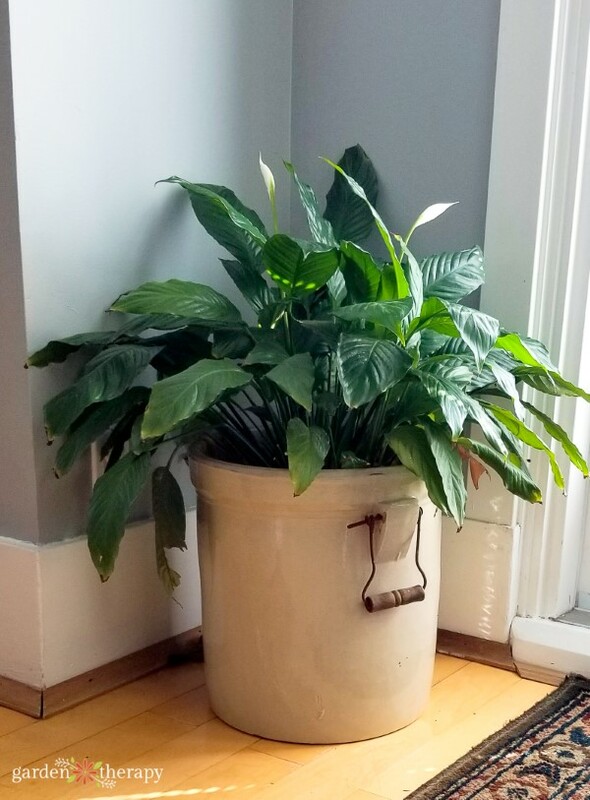 Houseplants are also a great option for those who are brand new to gardening or don’t think they have a green thumb (EVERYBODY has a green thumb, I promise). Once you see your first houseplant grow and bloom because of the care you give it, you’ll go from identifying as a black-thumb gardener to a proud plant mama in no time! Here are my favorite indoor bloomers and some basic care instructions for each one. I hope you create a magical, flowerful haven in your home with these beauties. Orchids are among the most stunning flowers available. Orchids like to dry out between watering and have plenty of air circulation at their roots. They like a humid environment, so make a simple humidity tray to keep them happy. 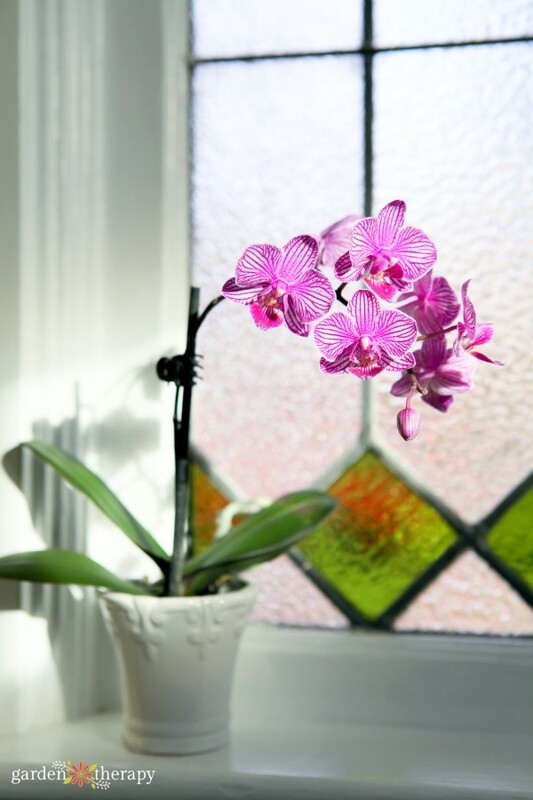 Prolong the blooms by keeping the orchid in a warm spot out of direct sunlight. When the blooms have faded, clip off the flower stem and be sure not to overwater. It will make an attractive green houseplant until the next flowers appear. Named for their flowers, which are similar in shape and color to violets, these low-growing plants produce beautiful frilly blossoms which come in various shades of purple, pink, and white. 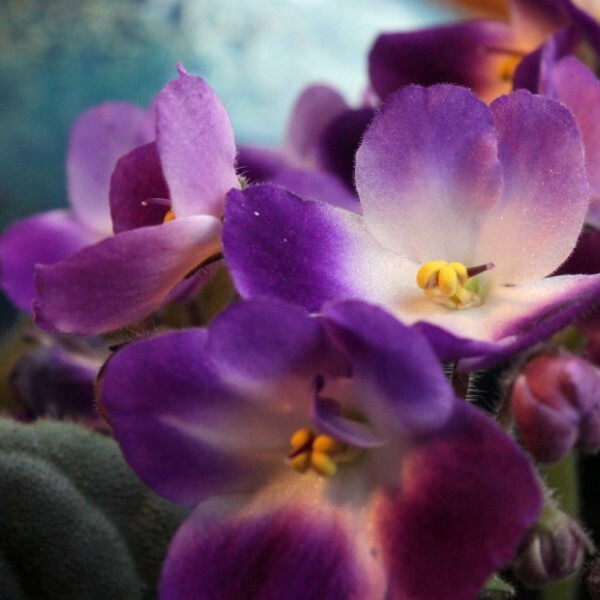 African Violets like lots of indirect sunlight, so place them in a bright window. Water them from the bottom with lukewarm or room-temperature water and remove wilted flowers to promote new blooms. Usually pink, purple, or red, these sweet little flowers have delicate upward-facing petals and pretty variegated leaves. Cyclamen need to be watered regularly (every day or so), but they are also sensitive to overwatering, so check the soil’s moisture level before you water. 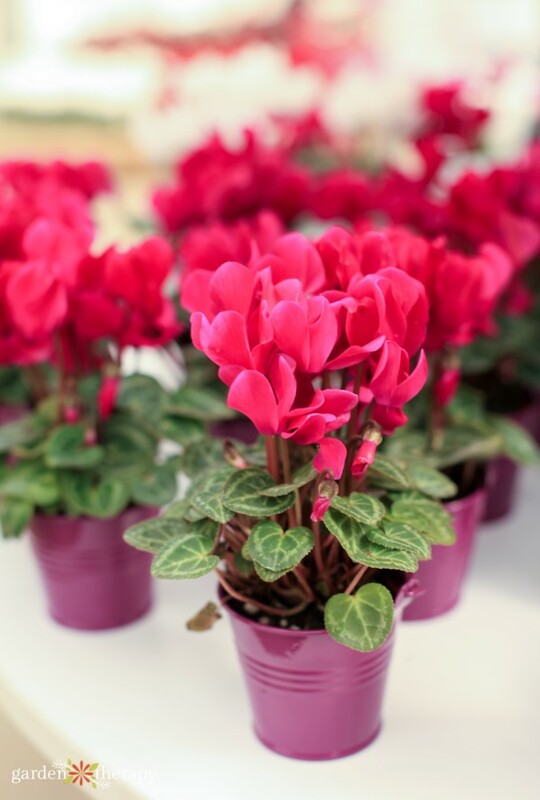 Cyclamen also like good air circulation, so be sure to remove any dropped blooms and leaves from the top of the soil. 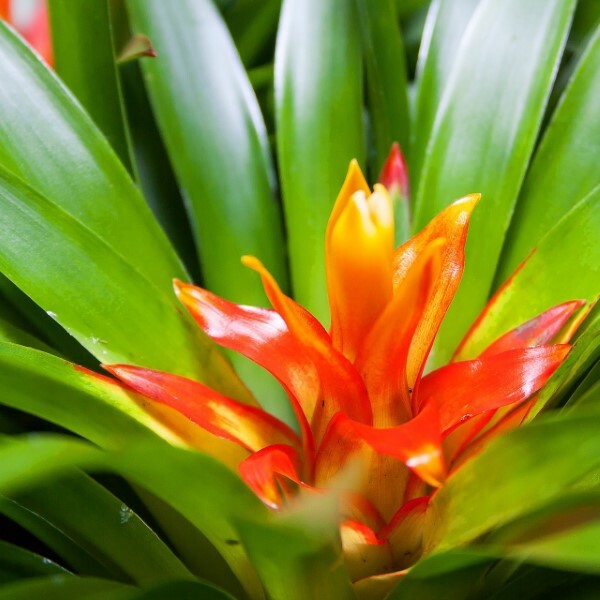 Bromeliads and air plants are often brought home when they are flowering, as they are the most striking when the vibrantly-hued flower is in its full glory. That being said, a flowering bromeliad or air plant is at the end of its life cycle. These epiphytic plants propagate by producing pups at the base of the plant after flowering. The mother plant will then die back and allow the pups to grow, flourish, and bloom. Learn more here. Peace lilies are among the easiest flowering houseplants to grow, and they will produce blooms all year long. The bloom consists of a spadix (this is the long, skinny piece that sticks up) surrounded by a white or colored spathe (the large spade-shaped “petal”). The little bumps on the spadix are technically the flowers! This plant likes shade best and should be watered only when soil is dry, about once a week. 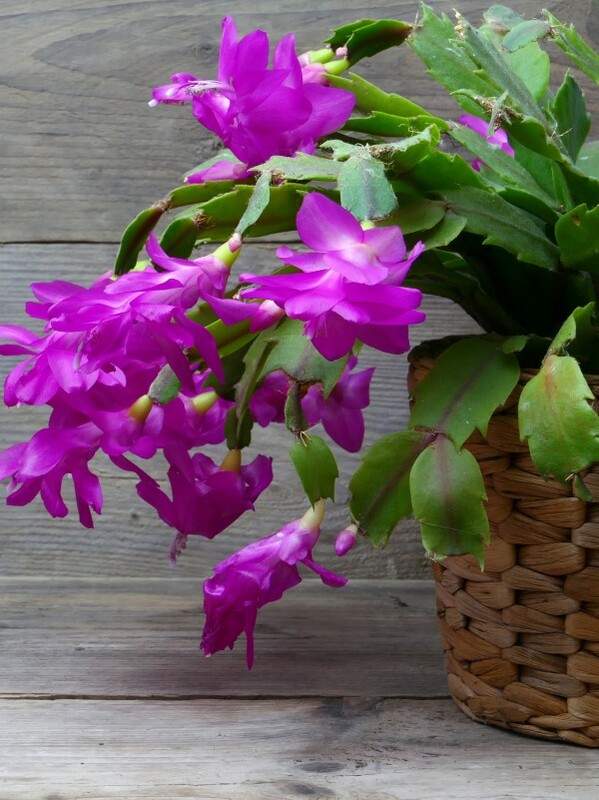 Christmas cactus (Schlumbergera x Buckleyi), Thanksgiving cactus (Schlumbergera truncata), and Easter cactus (Hatiora gaertneri) are succulents that bloom near the holiday that they are named for. These plants produce gorgeous star-shaped flowers that are red, pink, purple, white, orange, or yellow. For in-depth care instructions, see this post. 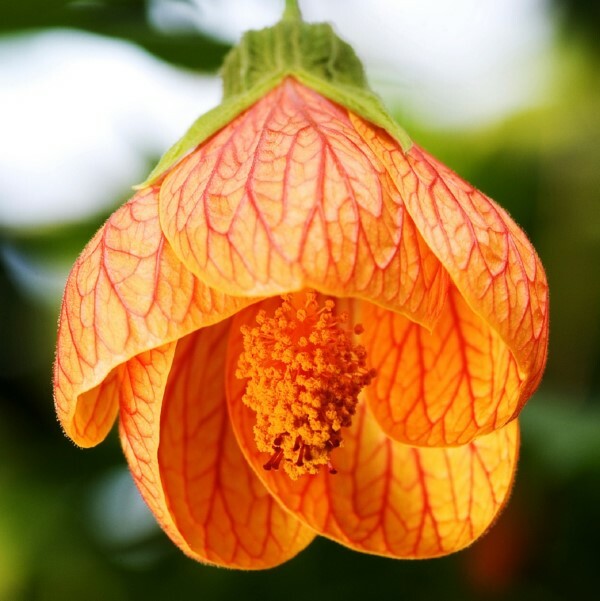 Flowering maples, so called because their leaves have a shape similar to maple leaves (they are actually a type of mallow), can grow anywhere from 1.5 to 10 feet tall. You can control their size by pruning regularly and selecting an appropriate indoor flowerpot. The bigger the planter, the bigger the flowering maple will get. Place in a sunny area and water only when the soil feels dry. Have fun creating your indoor flower garden and remember that garden therapy can happen anywhere, from tiny apartments to big outdoor spaces. Peace lillies are a very good choice. Also, don’t forget that one great thing about winter is that its time to focus on soil and soil reconditioning after the summer growing season. We’re doing composting and we dumped a ton of earthworms into our garden to help the dirt get ready for spring. Thanks James. I agree. I usually take December and January off from outdoor gardening, and get back to it February 1st. But I’m lucky to live where it’s not buried under snow, many people can’t even see their soil right now! 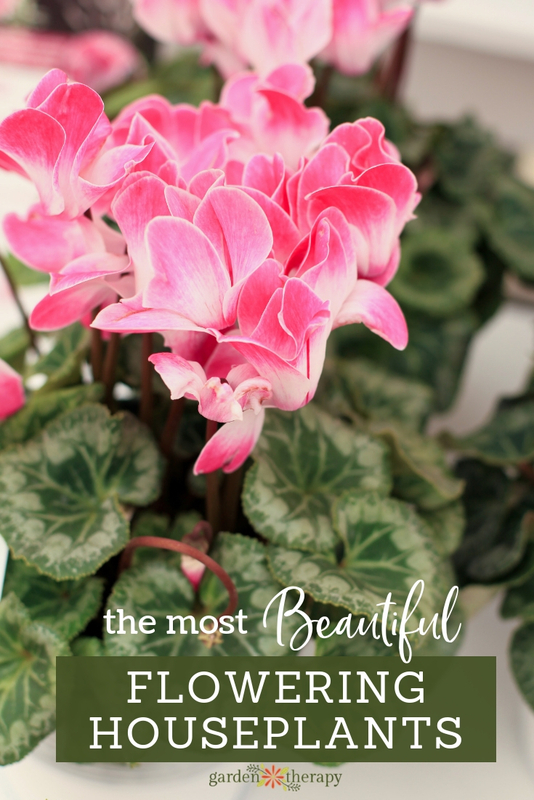 Cyclamen, are a very good choice for me… thanks for this posts.